So, we listened. 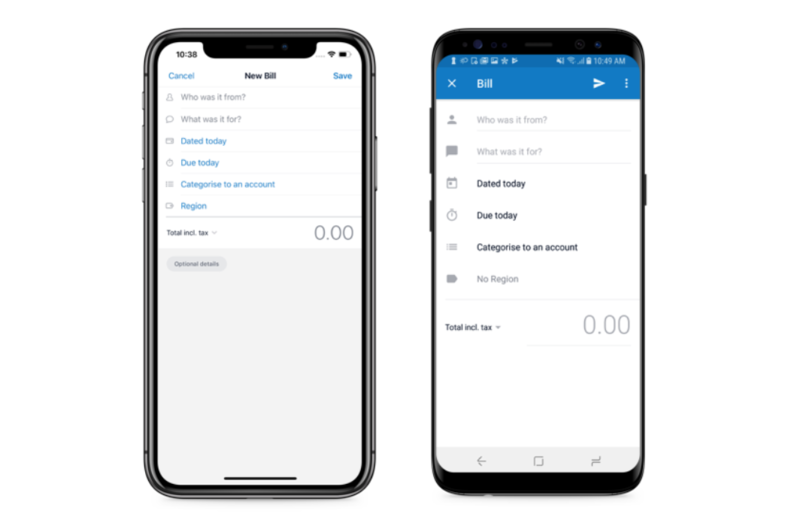 We’re excited to announce the introduction of adding and editing bills to the Xero mobile app. Because this was a feature requested by you as our customers, it only made sense we include you when figuring out what this would look like when live. We ran user testing sessions to better understand what was really needed. We received some interesting feedback. We found that bills could arrive from anywhere, at any time. It could be via email, post, or at point of purchase. It was also made clear how important it is for small businesses to pay on time; to keep track of how much money is available and to maintain a good reputation with suppliers, many of whom are small businesses too. We’ve decided to focus on keeping things simple. We know that most of the time you are on mobile when you’re wanting to perform small, fast tasks. So we’ve started with the basics. 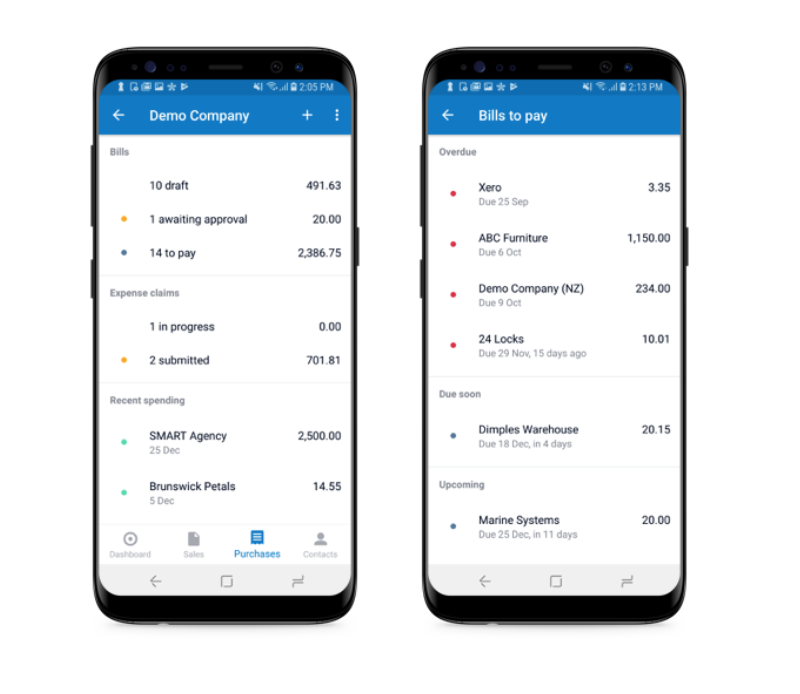 You can now create bills from your mobile with a clean, simplified interface. If you want to capture more detail the option is available to split into line items and quantities. 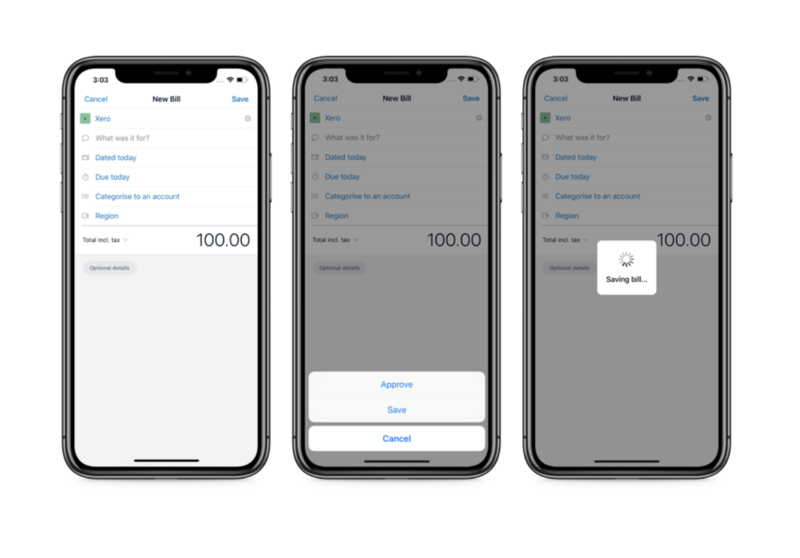 We also understand you can’t always complete a task from start to finish, so you can now save a bill on the go as a draft – ready for editing and approving later. Sorting through bills can be a pain, so we’ve separated them into ‘overdue’ or ‘due soon’ to make it easier. You tell us! We’re always keen to hear your feedback, on both the current app and new features you’d like to see. We want to make Xero the best app for you and your business. If you have any thoughts, feedback or awesome ideas then get in touch via community.xero.com.